We often define things by establishing what they’re not. HEMA is no exception. What are the limits of the concept of HEMA? The reality of defining a group’s identity is that it is often easier to determine what it isn’t than what it really is. The reason is simple: there isn’t really anything like it. Kenjutsu, for example, can be simply described as a martial art of Japanese origin dealing primarily with the use of the sword. It is itself part of a larger category, the Japanese martial arts which include arts originating of what is considered today the country of Japan. This system is true in any other country. But then there is HEMA. 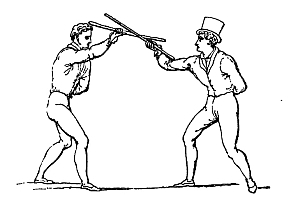 In no other kind of category will you find such a diverse array of practice; concerned with the whole history of European personal combat, or by certain standards from the 13th century up to WW1 or 2, assembling fencing with any kind of sword or weapon, wrestling, boxing, knife fighting, combative and even some hybrids like Bartitsu. Be they combat games, sports, martial arts; everything falls into this category. It is then normal that people would try to draw a line into such a huge selection, and that is where the problem starts. For many people, HEMA is exclusively the domain of martial arts with an extinct tradition (or rather at this point a re-established one, since HEMA in many cases has already been transmitted to the next generation) reconstructed with the use of historical documents. Although it is a concept which gathers a substantial support, it is not one to which everyone adhere. This text will explain why I think that HEMA should not limit itself only to extinct and documented martial arts, and how such a limitation does not reflect on the study of History. Much of this concept’s fault lies in the misconception that history is solely the study of ancient documents. While it is true that a hundred years ago many historians used to limit themselves in such ways, scholars agree today that studying history is first and foremost multidisciplinary and that in order to truly understand the past one cannot simply study manuscripts but needs to consider archeology, anthropology, economics, geography or ethnology. Without these sources, our understanding of history would be terribly incomplete and flawed. 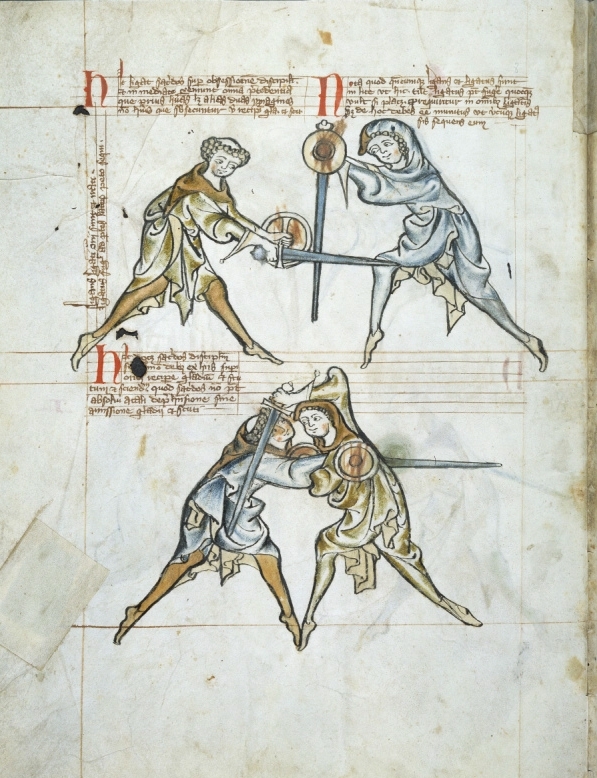 The field of HEMA is vastly dominated by Medieval and Renaissance martial arts, and so definitions are often aimed at the realities of these eras of study. This is why my understanding of HEMA is that it is a discipline which seeks to study the martial arts (the term martial arts here encompassing also combat games and sports) of the past from a technical aspect. For this reason, I also include living traditions and martial arts recreated mostly from experimentation. I do not include pursuits for which the study of technique is not necessarily a goal; such as many tourney activities. The main criticism of HEMA as encompassing living traditions is the same criticism which Victorian scholars would have made concerning the study of oral history. It may come as a revelation to some, but many historians make use of oral history as a source of study. Oral history today is not only a respected source but is most of the time considered a primary source, even when it represents knowledge passed on for generations. Archeologists in America still use oral history from the first nations to uncover undocumented sites unoccupied for centuries, with sometimes surprising precision. Studying how some contemporary Egyptians live has allowed historians to better understand how the Egyptians of Antiquity also lived, as some parts of their life still remain unchanged after centuries. Of course oral history can be deformed, it can be changed or downright invented, and this is also a common criticism of traditions; that they are unreliable and not as precise as the “good old” manuals. But again such a conception reveals a critical misunderstanding of oral history. Historians are not supposed to simply accept any source as fact simply because it was put on paper or told to them, there is a certain study involved which includes evaluating the credibility of the source. The same holds true to the study of traditional martial arts: comparing these arts to historical manuals, to accounts of their practice or to their cultural bearings is part of a good research. It is rather laborious at this point, as we do not know much about historical martial arts, but as our field of study progresses. it will be easier to determine what is credible or not. Considering that living traditions are too much in the “now”, compared to historical manuals, is also flawed. While it is true that many traditions have been adapted to suit contemporary society, such changes can often be easily retraced. It is quite simple for someone to understand what changed in the practice of savate or La canne; by comparing it to historical documentation. The Canne de combat federation is even at the moment “restoring” their great stick curriculum in order to bring it closer to the Joinville tradition. As we speak La Canne students can now acquire grades in the Joinville method. This is a wonderful application of HEMA where tradition and documentation meet. This separation seems to also consider that HEMA practitioners dealing “exclusively” with documents are not affected by contemporary notions and bias and are the most objective. It is quite evident when we observe modern practice that HEMA in all of its forms is a product of the 21st century. We are all men and women of our times, we are not medieval knights and live in a very different society with its own laws and preconceptions, and transpose them to our practice; living or reconstructed. Failure to recognize our bias leads to the Historian’s fallacy. But where does this conception comes from? Arguably the notion of HEMA was created, in its first installments, to consider the recreation of martial arts from manuals, and as a way to explain it simply to practitioners of other arts and the public. But as the field of HEMA has considerably progressed, this does not stop us in any way to revisit this idea to make it more relevant. It seems rather that a part of the HEMA community has forged its identity out of a certain distrust of traditions. Barely 10 years ago, the community was in full-blown hostilities with “Japanese swordsmanship arts”. It was the perfect enemy: not only was it the farthest from being European, it also dominated the popular culture of martial arts as being considered by certain members of the public to be the most advanced system of fencing ever devised. It was also one of the closest arts to longsword fencing, arguably the figurehead of HEMA. This, of course, brought many arguments between two groups, which couldn’t, and often didn’t want to understand each other. To the HEMA eye, JSA was stuck in tradition and simply couldn’t see how far it had erred from its roots. To the Japanese martial artists, HEMA was sketchy and relied too much on manuals; which were widely considered inferior to traditional teaching. As time went on, HEMA slowly outgrew this rivalry as it saw several parallels in JSA with its own practice, and perhaps understood that it could not elevate itself by climbing on its neighbor, but by building its own skills and reputation. The Japanese crowd is also slowly realizing that there is value to the European arts, as they are now more polished both in techniques and in overall decorum. This conflict left stigmas, and among them is, again, this idea that HEMA is somehow separate from tradition. As we have argued, traditions are in fact another source, equal to documentation as long as it is properly studied; which, just like manuals, should always be. One very negative aspect of limiting HEMA to historical manuals is that by doing so, HEMA would essentially become the historical martial arts of the elite. It is a well-known problem in historical studies that documents often suffer from a certain elitist bias. Peasants and working class (and even sometimes the middle class) had none or very limited access to printing, until very recently. You might wonder what’s wrong with that. The problem is that the elites had no time nor desire to document every single thing they saw, and often considered the activities of lower classes to be beneath their consideration, or simply weren’t aware of them. Even through certain manuals like those of Paulus Hector Mair, or the writings of Donald Walker or Allanson-Winn, we are only shown an outsider’s view of the martial arts of the people. They are often very limited accounts and sometimes may rearrange the system in ways which they find to be more adequate. We are then left with an anecdotal view of the art through the lenses of an outsider. Donald Walker wrote on Irish stick fighting in 1840. Although little is known about Walker, his view on the “unscientific” shillelagh seems to be that of an outsider, and he wastes little time describing it. If we limit ourselves to studying manuals, we will essentially learn what the elite of the time wished to communicate. Nothing more. This is an argument which is often presented to justify the study of oral history; as through these stories and traditions, we get a perspective which we could not get through documentary records. It is my opinion that HEMA should not shut itself from such a rich source of knowledge if it wants to fulfill its ambitions. Another category which is often rejected from common definitions of HEMA are martial arts reconstructed through limited evidence. 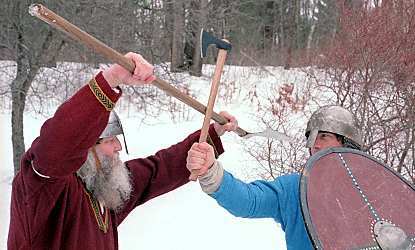 Techniques of the Roman legionaries, Greek pankration or Viking fencing can fall in this category sometimes called “Prehistoric martial arts”; a rather confusing definition as they are not dating from Prehistory and their practice is often recorded, simply in a limited and indirect format. Their study is also erroneously referred to as “experimental archeology”. Archaeology is the study of human activity in the past, through material culture and environmental data. It uses a variety of sources to interpret its data; including historical documents. A researcher willingly ignoring a historical manual or material evidence in order to recreate a past practice would not be considered credible. In this regard, the whole field of HEMA could be characterized as experimental archeology as it seeks to recreate a human activity using a variety of relevant data. So how is this once again HEMA? As long as a group research martial arts using a proper methodology- and this is the critical part of “any” HEMA- it can be considered a valid way to do HEMA. Of course there would always be doubt, but honestly such is the field of history as a whole and dare I say it, of HEMA itself; or, at least, it should be. If one claims to have reproduced the same system as Meyer without any difference, or doubt whatsoever, run away! There are various groups who have successfully reproduced undocumented historical martial arts, such as the ACTA in France, who work on gladiatorial combat and Greek combat games. But here is the key, their research is complex and well documented, and is always in flux; because they use proper methodology. They do not simply pick up a gladius and pretend to fight like a Roman soldier; they pick up historical replicas, actual artifacts, research historical documents which describe their art, and closely study the culture and society which surrounded these arts. Their method is slow and complex and dare I say much more demanding than most studies made around documented martial arts. One cannot simply look at some illustrations to criticize their approach but they actually have to examine their whole research, and such is how science works. It might be too complex for most to undertake, but it is HEMA and one which in my opinion should receive more attention than it does. WW2 combatives. HEMA or not? This is probably the hardest stance to defend as it implies that somehow historical martial arts would be different from their main preoccupation –history- and somehow have a limit in time. The only real argument given towards such discrimination reveals actually a lot about the need to define HEMA as a very exclusive group: Because otherwise “insert modern combat sport” can be considered HEMA. Such a stance can have some practicality. One wouldn’t wish to see every single boxing gym, or Olympic fencing salle, in the world claim to be teaching HEMA, and add their training halls to the ever increasing virtual maps. But if we really examine this fear, it ceases to be relevant. So let’s do it. Is boxing HEMA? I would say… yes. But before rolling your eyes please consider that HEMA is the study of martial arts techniques of the past. Now could modern boxing techniques be considered representative of the past? Yes, but not if you intend to study pre-Queensberry boxing! At that point, it would be demonstrably too different. 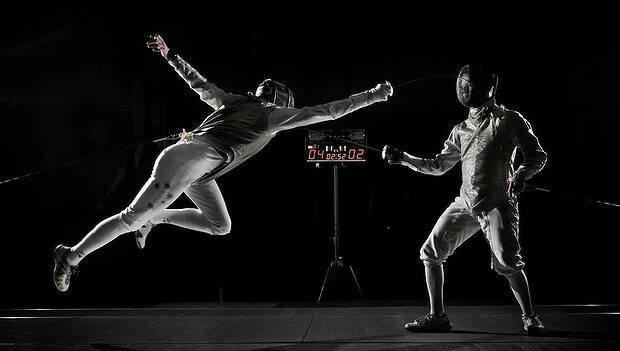 The same applies to Olympic fencing. While both sports can be used as a source to replicate their close ancestors, they cannot claim to be the same. 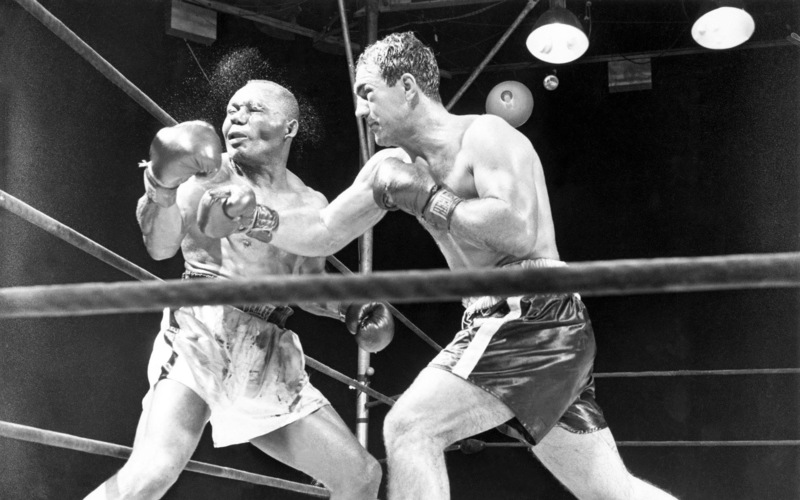 Although no doubt worthy of interest, few people try to replicate the fighting style of Rocky Marciano for the sake of historic studies. A school of HEMA based on this style would probably not thrive. So could there be someone claiming to do HEMA while they are training at Church street Boxing Gym? Sure, but why don’t they? Because there is no interest from the community to discover or replicate how Mohammed Ali fought. There is much more interest in discovering how John L. Sullivan punched, but that is not what they are teaching. So the answer to this problem is simple: the community doesn’t need to fix arbitrary limits to its practice. These limits will appear by themselves as they follow the interest of HEMAists. Maybe in 100 years somebody will pick up “The greatest ever boxing workout” and consider it HEMA. At that point, the WW1 timeframes will have as much relevance as they do today. If there is one common point to all of HEMA it is this: the desire to understand how people fought in the past. For some the interest will be in the medieval period, others will prefer to study the Renaissance. In these cases, living traditions will hold little interest and seem somewhat alien, after all, there are very few living arts which can claim to have remained unchanged since the reign of the Tudors. But the closer you get to today, the more traditions will have been preserved. To people researching 19th-century martial arts, the notion that living traditions are HEMA often makes perfect sense. Catch as catch can wrestling still exist, so does Jogo Do Pau, classical fencing or Irish Stick fighting, all of them in a very close format to their 19th-century incarnation. But you also find historical manuals on their techniques. Drawing a line then seems rather superfluous, as people will often study both manuals and tradition in order to complete their practice with the relevant sources. Then what can’t be considered HEMA? HEMA must be defined not by the type of sources used, but by the type of research that leads to it. A group studying combat techniques of the Renaissance but refusing to study relevant historical manuals cannot be considered credible. Someone presenting a living tradition as historical without being able to present any evidence linking the practice to the past is not doing HEMA. In the end, there is bad research, which is not HEMA, and there is good research, which is. If the end result can be presented as a credible format, using every relevant source at its disposal to practice the art: it is HEMA. Reblogged this on HEMA News. Duffing rascals: What is La canne? What is the best sabre manual? Let the sparks fly: How was the briquet used? Maxime Chouinard on What is Irish stick fighting? Don (@Grandelfe) on What is Irish stick fighting?